I was once preaching on conversion and salvation, and I felt, as preachers often do, that it was dry work to tell this story. A dull, dull tale it was to me. Suddenly, the thought crossed my mind, "Why, you are a poor, lost, ruined sinner yourself. Tell it, tell it as you received it. Begin to tell of the grace of God as you trust you feel it yourself." Why, then my eyes began to be fountains of tears. Those hearers who had nodded their heads began to wake up. They listened because they were hearing something that the speaker himself felt and that they recognized as being true to him even if it was not true to them . . . —from Chapter 1 "Unforgettable Day"
So C.H. Spurgeon describes the experience of inspiration that affirmed for him the importance of his own story of conversion in his work as a preacher and evangelist, and encouraged him to record the story in writing. He recognized the story's value—not just as a private event but as a guide, model, and inspiration for all believers. 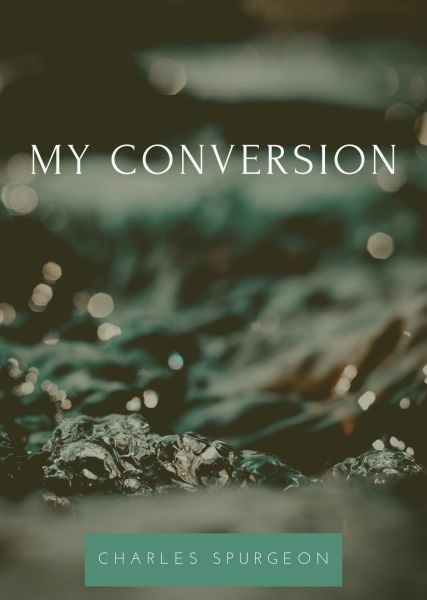 Written by one of the greatest preachers of the modern age, My Conversion is an intimate view of C. H. Spurgeon's most life-changing encounter with God. Charles Haddon Spurgeon (1834-1892) converted to Christianity at the age of fifteen. By the age of twenty-two, he was the most popular preacher in England and remained so for the latter half of the 1800s. He frequently spoke to crowds over 10,000 in the days before electronic amplification. Known as the "Prince of Preachers," he delivered nearly thirty-six hundred sermons throughout his life. A prolific writer as well, many of Spurgeon's works remain in print to this day.